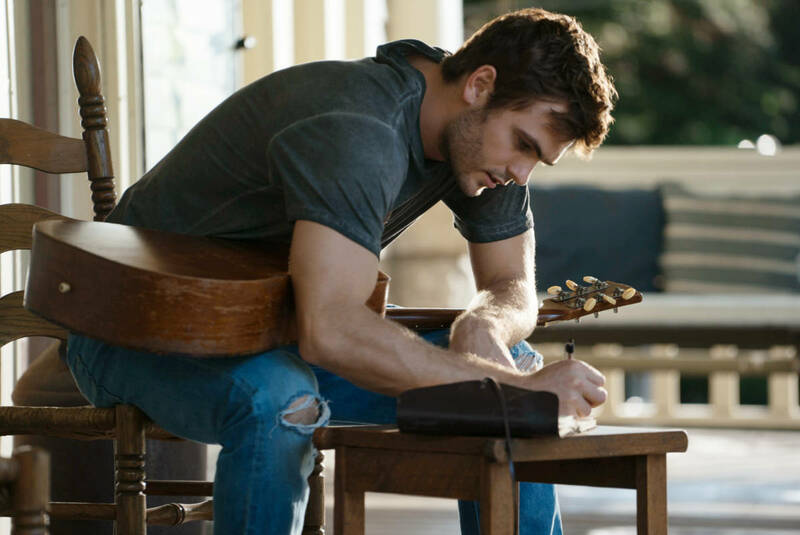 Alex Roe in FOREVER MY GIRL Photo credit: Jacob Yakob. Courtesy of Roadside Attractions/LD Entertainment. 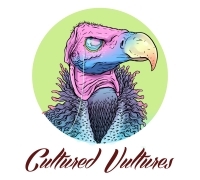 Alex Roe, who stars in the upcoming adaptation of Forever My Girl, recently spoke with Cultured Vultures about his role in the new film in addition to another upcoming project of his, Hot Summer Nights. Thanks for joining us today. How are things treating you? They are treating me pretty well. I’m here in La La Land right now, which is nice. You play Liam Page in Forever My Girl. Can you talk about your role in the film and what drew you to Bethany Ashton Wolf’s script? I initially read the script and I hadn’t really done a role much like this before. The idea was being able to learn the song before or play guitar so I think the challenge of that and the opportunity to try something a little bit different from what I’ve been doing so far definitely drew me to it. The arc of Liam’s character, where he’s a little bit of a man-child and comes home and reconnects to hits and through becoming a father and learn how be a father, he kind grows up a little bit to figure out what it is to be fully formed human being essentially. You said you learned guitar for the movie? Yes. My mom bought me a guitar when I was around 11. I would kind of mess around with it but I never had any lessons or anything but I never really showed any real amazing skill, to be honest, on the guitar. (inaudible) As far as singing goes, I never sung before. I would just sing a little bit in the shower and sometimes, I got a little step-brother who came home early one day and heard me trying to sing really hard in the shower. He didn’t let me live it down for quite a while. That was kind of my experience beforehand. I had to work very hard because I wanted to do it justice because I feel like the country music fans and the country music scene kind of hold the singing quite dear. I didn’t want to do a bad representation of it. I got my first guitar in 8th grade and I would say my ability is about the same—stick to the bedroom and leave the singing to the shower. Right—so that’s where I was if you could imagine about a year and a half ago. I was in the same position so maybe, maybe, you’ll be able to have a go at being a country singer one day if you’re into that. I’m more of a classic rock person. Yeah? I like little bit of classic rock, too. I like a little bit of Led Zeppelin. If not for four lads from Liverpool, I would have never purchased my guitar or my first two CD albums. Oh, yeah. I heard about those four lads. What’s their name again? They’re called—oh, what’s their name—it’s something about One Direction, I think? I’m certain that it is the legend of the Beatles. Pretty cool. Yeah. Have you got to see Paul or Ringo perform in person? Unfortunately, I haven’t. I scored some tickets—a friend of mine’s parents were obsessed with the Beatles. Paul was performing in Milwaukee and I bought them a couple of tickets. Her mom and dad went to see the show which they were so happy they went. I share the love instead of experiencing. I’ve yet to see those guys live. Last year, Hot Summer Nights, premiered at SXSW and I believe it’s coming out at some point this year and it also stars Timothée Chalamet. Also, Maika Monroe. Timothée has done Call Me By Your Name, which is getting a lot of respect for, which is deserving, I think. That’s exciting. A24 has picked up—who brought out Lady Bird and did Moonlight last year so it’s kind of a really cool group of people to be listed next to. I’m excited about that and it comes out in the summer. What it was like to act alongside a likely Oscar nominee? It was really, really great. He’s a little younger than me and my character had to take him under his wing in some way but it was incredible to watch him and see him act. To act alongside him and to see how well he’s doing is just a really cool thing and inspiring to be even in that mix in some way. He’s definitely one of the best actors of his generation especially of his age group. I’ve never acted with someone with so much talent. I was originally quite into soccer. I played that pretty seriously. I played that semi-professionally some back home. I think maybe I would be a second string soccer player right now. Either that or, I don’t know, travelling and earning little bits of money maybe doing some kind of a trade and travelling a little bit. I think I would have gone down the traveling route. Thanks again for your time and best of luck in the film. I appreciate it. Thank you very much. Roadside Attractions opens Forever My Girl in theaters on January 18, 2018. The underrated Marvel adaptation finally gets the home video release it deserves.